New scents that will carry you through 2019, from wild charming irresistible notes to sweet musk and woody notes. Dreamy new perfumes from the likes of Chloé, Versace and Tom Ford, there’s guaranteed to be one for everyone. If you haven’t found your GUCCI fragrance, this might be the one. Tears of Iris Eau de Parfum is formulated around the rich scents of iris, sandalwood, angelica seeds and musks. Crafted in a beautiful vintage-inspired bottle and box featuring flowers, animal illustrations and gold detailing. The new Black Opium Eau de Parfum Intense, brings a new magnetic light to the iconic accord. An ultra-feminine fragrance characterised by power. Tom Ford White Suede eau de parfum captures the primal essence of leather and suede. Key notes include; rose, saffron, mate tea, olibanum, lily-of-the-valley, amber, sandalwood as well as thyme. 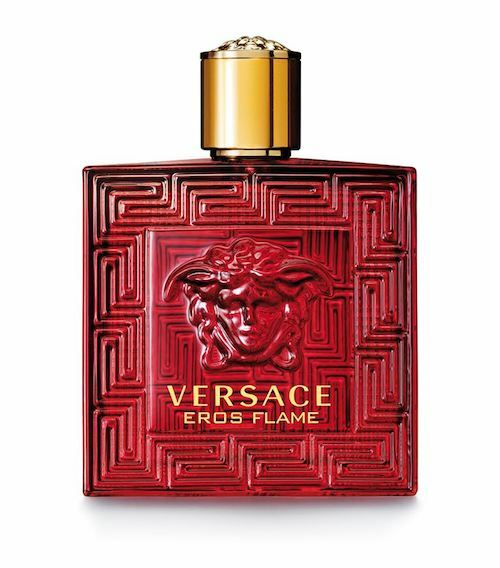 The new and exclusive Versace Eros Flame eau de parfum is inspired by Eros, God of Love. An oriental and woody awakening fragrance for men. Featuring top notes; orange, geranium and rose. Nomade by Chloé combines the intense character of oak moss as well as sweetness of cherry plum and a whiff of freesia. A captivating fragrance yet subtle enough for an everyday scent. Tuberose, vetiver musk and dark chocolate is captured in this Veilleour de Nuit eau de parfum. Part of the brand’s signature Gold collection. On the high side but a distinctly unique fragrance. Xerjoff launches a powerful new version. Capturing the moment when the waves come crashing over the coastline, their blueness melting with the rocks, turning into foam, and returning to the sea. A fragrance characterised by the contrast of coumarin, bergamot, citrus, coffee notes as well as spices.